Tornados can be limited with AquariusRadar! This page is the Hail Suppression Application for AquariusRadar. 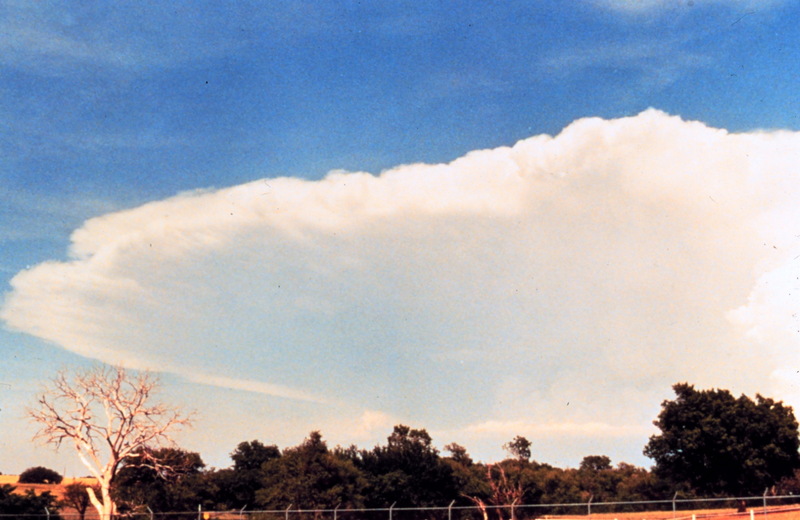 Hail damage can be limited by the operation of the AquariusRadar. Ideal Candidate ARS/USDA Where cloud seeding operations are employed, AquariusRadar works in concert with the seeding effort. AquariusRadar limits the growth of the thunderstorm over the crop field from the very earliest developement and cloud seeding is used to bring down the moisture as rain in a nearby competing thunderstorm over an area already harvested. The operation on early developing storm cells is compliant with the basic concept of chaos theory.....that small but very early changes to the environment of dynamic non-linear sytems result in large changes in the mature stage. The microwave heating effect is small but is not considered a "strange attractor", as it hinders growth and it can be measured. 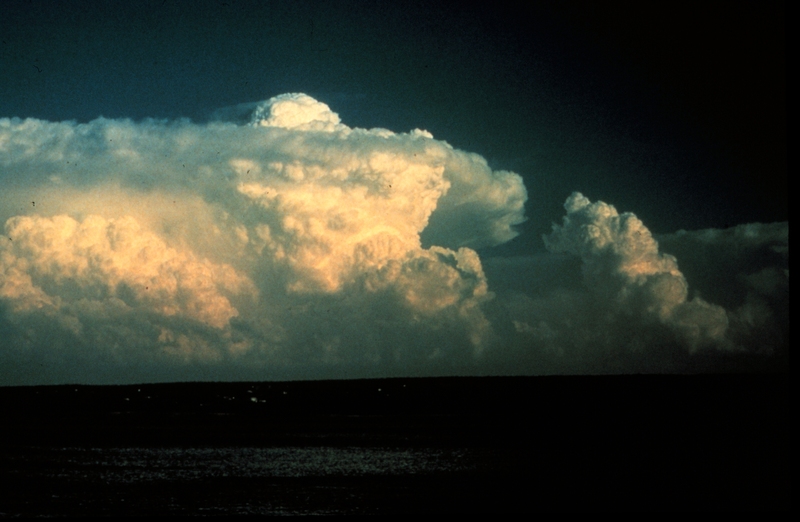 The fractal nature of a head of cauliflower and a booming cumulonimbus are similar in that the early environment determines the mature form. Update June 2012: The Dallas metroplex was pounded by hailstones the size of peaches; damage estimates as high as 200 million $dollars. Had the Dallas Emergency Management been able to call upon Mobile Aquariusradars, operated by the Corp of Engineers, the city could have saved rooftops and vehicles and millions in insurance premiums for City residents. April 2015- Massive tornado hits northern Illinois.Aquariusradar, set up in advance in the watch box areas could have tempered the massive tornado or eliminated it completely if early radiation on the developing storm had been done. Microwave energy, directed at the storm base, slows the storm development. Southern California Operations Could AquariusRadar prevent tornados? None of the existing mobile radars have sufficient power to impact the huge storms that generate tornados. But several radars working in concert under the direction of a state agency could lessen the chances of tornados. These would be special truck mounted storm-buster radars. They would surround and track the tornado storm cell, much like todays storm-trackers do as they film tornados. Except the stormbuster radars would be radiating the microwave heating energy as they rolled, decreasing the storm cell's capacity to generate a tornado. Today's high tech gadgetry, wireless communications and GPS, would allow the continuous radiation focused on the mega-thunderstorm base from multiple stormbuster mobile radars. Emergency management agencies of metropolitan areas in the plains states and the southern states could operate larger fixed position multiple AquariusRadars to quell potential tornado generating thunderstorms as the storms approach the city. Lives could be saved and millions in property damage would be prevented. 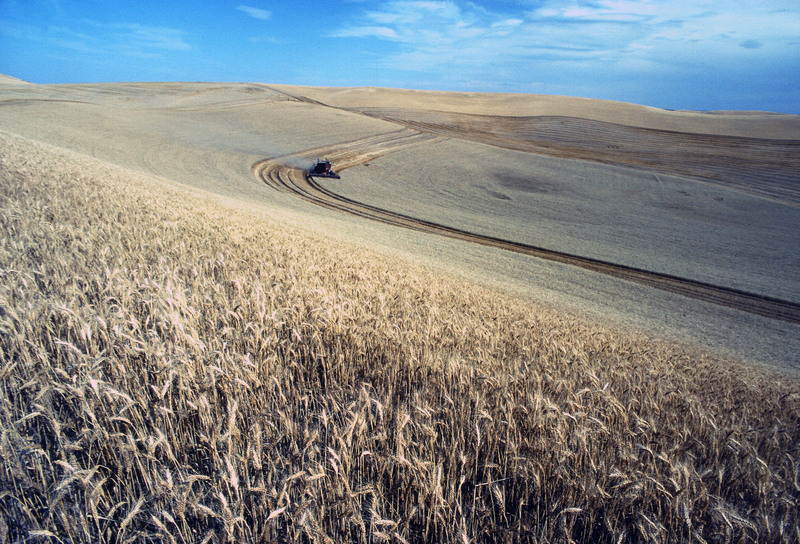 Farmers use hail cannon to protect crops. The energy of the focused sonic blasts produced by the cannon is ultimately dissipated as heat in the region of the thunderstorm base. This heat is absorbed mainly by water molecules making them less likely to condense and release the latent heat of vaporization that makes thunderstorms grow. The growth of the storm is held in check, just as microwave heating checks the storm to a rain maker without hail. Weather experts don't believe sonic hail cannons work, yet farmers are spending millions for them each year. Manufacturers of hail cannon continue to make and sell them without fear of litigation. Scientists point out that booming lighting thunder doesn't prevent hail, but fail to mention that the thunder boom moves away from the lightning strike as a 360� sphere and covers hundreds of times the area of the cannon. It's not focused and concentrated as the cannon boom is. A single cannon can only protect about 100-200 acres while a single mobile AquariusRadar could protect tens of thousands of acres and be much more cost effective. The noise pollution associated with the cannon would be eliminated. Gulf of Mexico Operations Microwave heating of thunderstorms can reduce the intensity of the mega-storms and potentially prevent tornados. Frequent Questions Update May 2012: Joplin and Tuscaloosa continue recovery from devastating tornados. But no progress by Emergency Management in finding ways to prevent tornados! Will another monster tornado destroy a US city before EM takes action? Would EM take action is the better question! Update May 2013: Moore, Oklahoma flattened by EF 5 tornado. No action by Emergency Management to find ways to lessen the power of devastating tornados. The National Weather Service is not chartered to change or moderate the weather. But Emergency Management is sanctioned to prevent death and destruction caused by weather. The ACE controls rivers to prevent flooding. We can't change the weather but why not moderate the weather to our advantage? The modern Emergency Management Agency has the technical staff familiar with GPS, severe weather radar prediction applications, and radio communications to operate the Aquariusradar; no special job position is required. Firefighters, police, or any number of governmental utility positions simply change hats during severe wearther periods. Maintenance and repair of the Aquariusradar would be contracted out by the governmental body to speciality firms.